In this guide I’m going to explain how you can use phpmyadmin to export and import MySQL backups to your MySQL server. 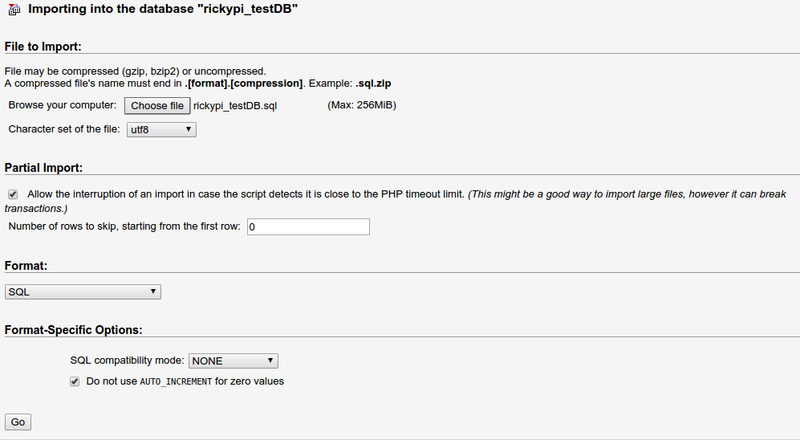 Alternatively, selecting the database you wish to manage and clicking the link Built in phpMyAdmin control panel. 2. 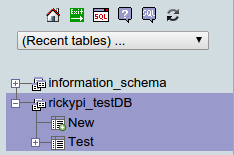 Once logged in, select the database from the left hand side. 3. Select the Export menu from the top tabs. You should leave the rest of the settings as they are. Scroll to the bottom of the page and click Go. You will then be prompted to download your new SQL backup. 2. Under File to import click on Browse your Computer and select the database you wish to restore from. When exporting the database ensure you don’t set a compression method, doing so can cause the export process to fail due to the time it takes for the backup and compression to complete. If you have one of our dedicated physical plans please send in a support ticket and we can look at making custom changes to mitigate this issue.